The zine also features Travis Alabanza, Liv Wynter and many more! Karnage Kills' 'Timberlands' video was made as part of the VFD Femmetopia Festival residence program with support from Arts Council England. 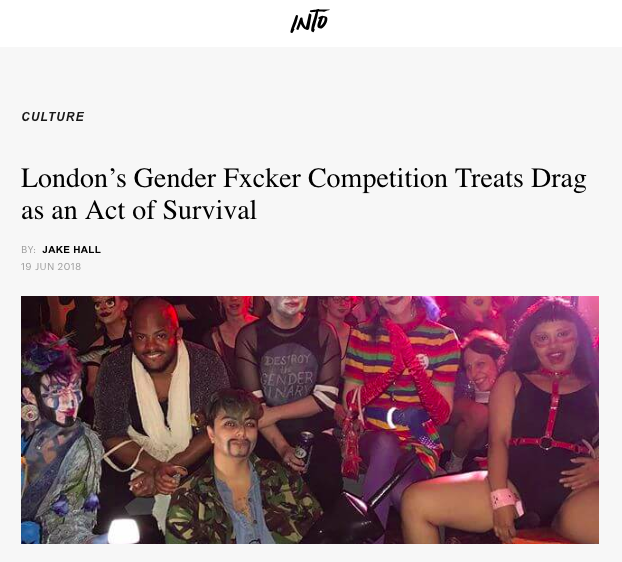 Charlie Craggs' 'Nail Transphobia' video was made as part of the VFD Femmetopia Festival residence program with support from Arts Council England. Phoebe's Femme Feral gang featured on Broadly! Kat Spoke to i-D about our femme relaunch as one of 9 queer activists on powering up the community!